“Dragon Ball Z Saiyan Double Feature” contains “Dragon Ball Z: Bardock – The Father of Goku” (1990) and “Dragon Ball Z: Fusion Reborn” (1995) . “Dragon Ball Z Saiyan Double Feature” debuts in U.S. cinemas on Saturday, November 3 at 12:55 p.m., and Monday, November 5 at 7:00 p.m. (all local times). 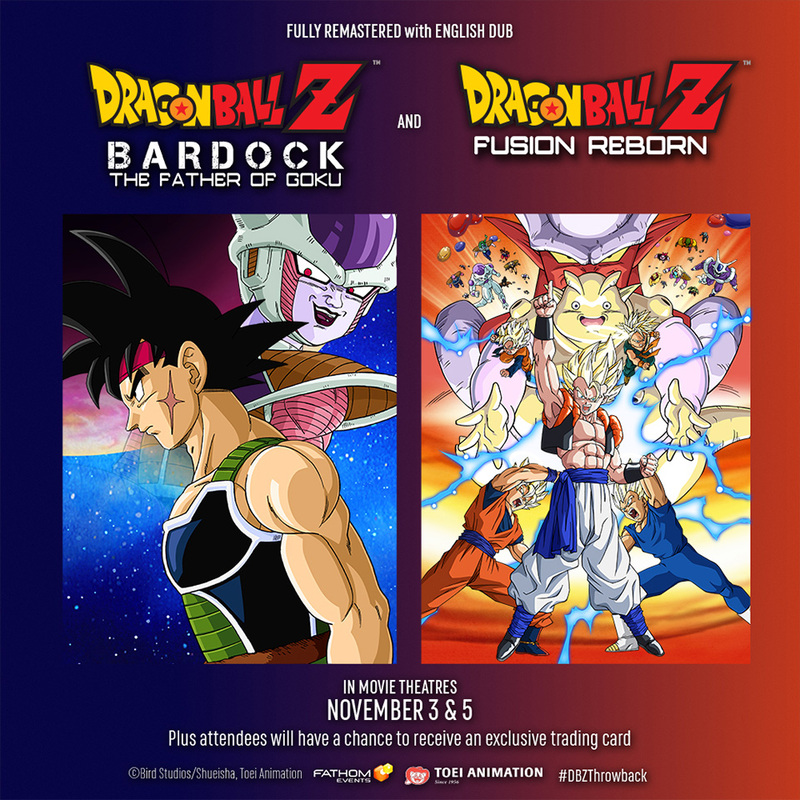 ・ Tickets for “Dragon Ball Z: Broly – The Legendary Super Saiyan” and “Dragon Ball Z Saiyan Double Feature” will be available online at www.FathomEvents.com/DBZ and participating box offices. "Dragon Ball Z Saiyan Double Feature" in theaters and get the exclusive promo card "Gogeta" Stay tuned for details! *Distribution for promos may be subject to change. *Date of distribution may differ in other countries. Details will be given upon further notice.